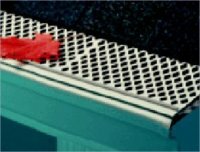 The Diamond PVC Snap-In Gutter Cover is an economical yet efficient means of preventing debris from clogging the gutter system. Made from rigid vinyl with a flex design that will fit most roof pitches. No fasteners or tools needed; it fits directly into the gutter under the shingle and snaps on to the front end of the gutter. 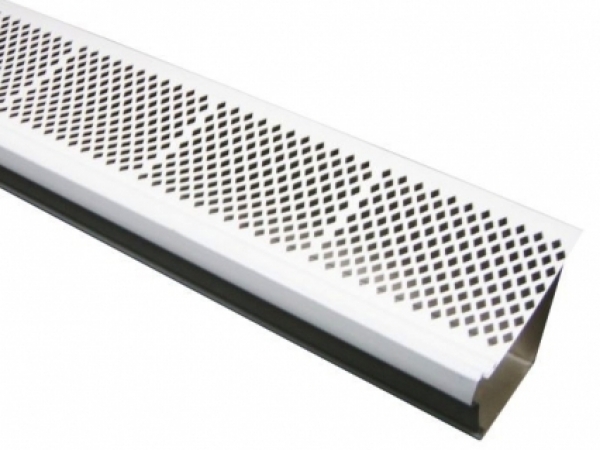 Fits either 5 inch or 6 inch K Style aluminum, plastic or steel gutters. - Handy 3 foot sections fit standard K style gutters. - Made of high quality rigid PVC. - Snap-In design will not collapse under debris. - 50 guards needed for an average home. 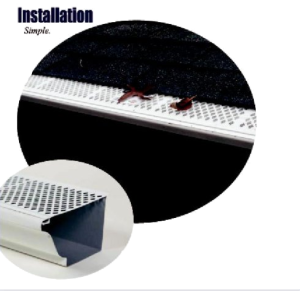 Diamond PVC Snap-In Guard Covers are installed on rain gutters to help prevent leaves, twigs and other debris from falling into the gutters and clogging both the gutters and downspouts. Obstructed gutters and downspouts will prevent rain water and melting snow from flowing through the gutter system. Water that cannot flow freely can back-up and overflow the gutter causing damage to the landscaping and the foundation. Damage to the roof line and the fascia board may also occur if water gets behind the gutter. Simply slide under the shingles and hook onto the front lip of the gutter. No special tools needed.